Today only, while supplies last, save on select Yankee Candle harvest scents with prices ranging from $13.99 – $20.99! 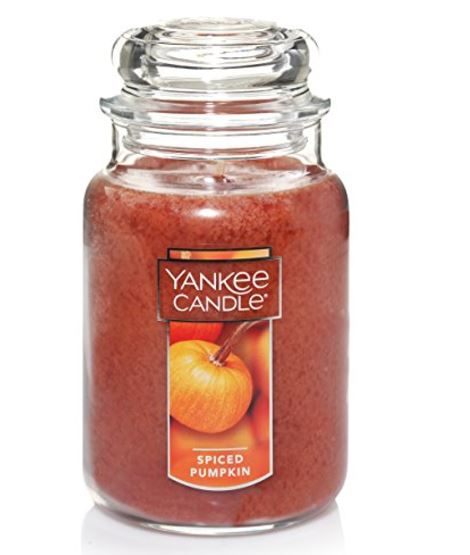 I just purchased this Yankee Candle Large Jar Candle, Spiced Pumpkin on sale for $14.99 (Retail $27.99)! The selection will go quickly, so hurry over to choose your favorite scents!